Chicago is one of the great food and restaurant cities in the world. The city has everything from world-class fine dining to incredible hole-in-the-wall dives, and more cuisines from more regions and countries around the world than almost anywhere else. It’s no surprise then that Chicago gets its fair share of foodie travelers, but even those most in the know miss some of the city’s best places. These are the local favorites that tend to stay hidden — the spots where the chefs eat on their days off, where we go for our most special occasions, and most importantly, where we go after a hard night of partying. Here are the best food spots only locals know about in Chicago. The Publican serves some of the best food in the city in a beautifully designed space that is totally free of pretension. The eclectic menu begins as a tribute first to beer, pork, and oysters, and builds from there to cover a wide range of farmhouse fare that is at once simple and elegant. 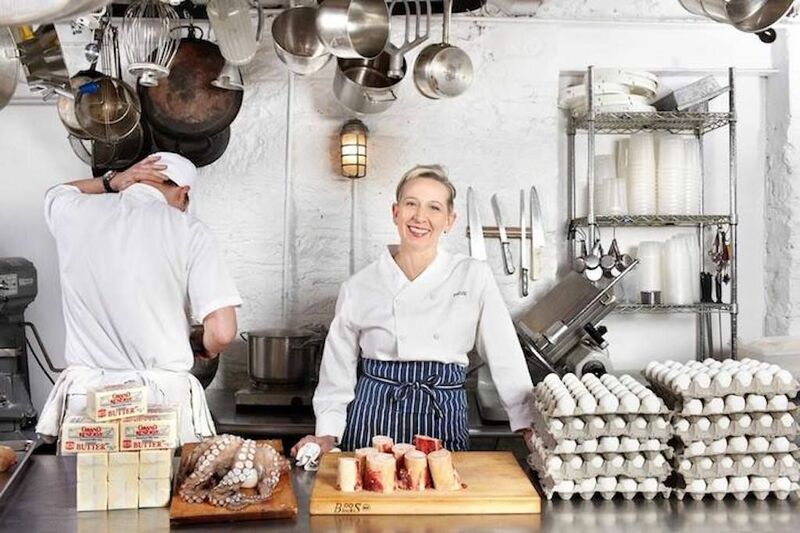 Most Chicago chefs will have Publican on their top five list, so you know it’s good. It works with local purveyors whenever possible, and always uses only the highest quality ingredients. Its house-made charcuteries are some of the best around. If you want to find a truly great dining experience in Chicago, there are few better than here. There’s really no wrong time to eat Korean barbeque, and that’s what makes the open-late San Soo Gab San such a favorite of Chicagoans. It’s a perfect spot to go for lunch when you can get some fantastic food at amazing prices. It’s also a great dinner spot, but it’s late-night when it really comes into its own. Officially open until 1:00 AM and 2:00 AM on Friday and Saturday nights, San Soo Gab San is often open 24 hours, but it’s always best to call ahead and check. There may be no better food after a night out drinking, and the social atmosphere around the coals (along with plenty of beer and soju) makes for an insanely fun way to keep the party going. The thinly sliced meats are high quality, the banchan (side dishes) are plentiful, and the cooked items like the seafood pancake and the fiery soups like kalbi tang are always excellent. Located along Division Street on a mainly industrial island in the Chicago River, Goose Island Shrimp House is an absolute institution in Chicago. 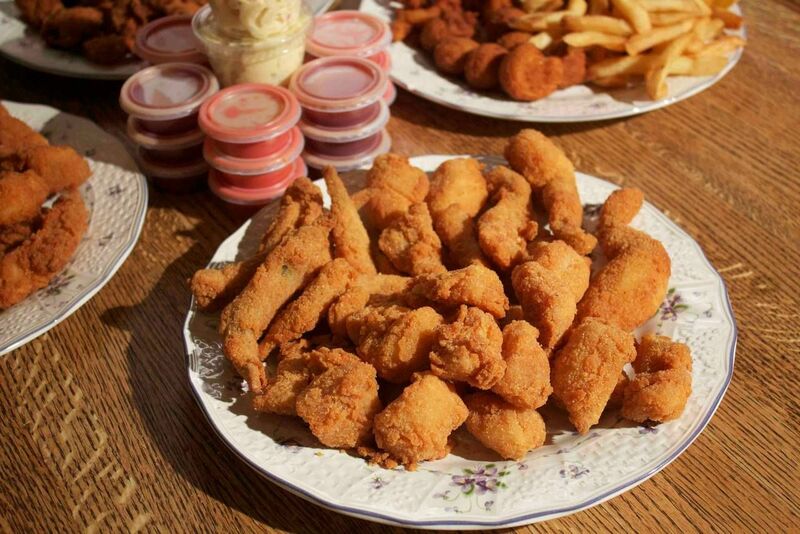 Goose Island has been doing some of the city’s best seafood, including the signature shrimp but also oysters, catfish, frog legs, and more since 1973. It stays open late for the party crowd from the bars along Division Street to the east and west of the island. This joint is and always has been cash and carry-out only. Margie’s Candies is about as legendary as a place can get in Chicago. This candy shop and sit-down ice cream parlor has been open in the same Bucktown location and owned by the same family since 1921. Margie herself was a regular fixture in the place into the early ‘90s and plenty of Chicagoans will remember special occasions here with her stopping by the table. Margie’s was rumored to be a favorite of Al Capone, and legends like The Beatles and The Rolling Stones have visited. All nostalgia aside, the chocolates and sundaes are to die for, and yet somehow this place still flies under the radar. The Biscuit Man is a restaurant located inside of The Long Room bar on Irving Park Road. The unusual business arrangement works well, letting this fantastic watering hole focus on being a great bar, and letting The Biscuit Man work his biscuity magic. This spot does a bit of everything and does it all pretty much flawlessly. 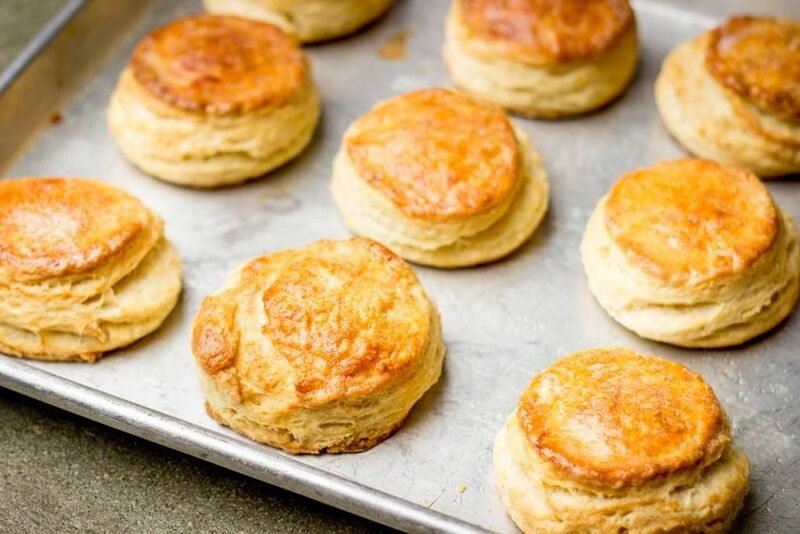 It doesn’t make sense that one kitchen attached to a bar could do outstanding Indian dishes, fantastic charcuterie, and amazing biscuits, including some of Chicago’s best breakfast sandwiches, but it pulls it off. Best of all, the morning and evening menus are constantly changing and keeping things fun and interesting. This spot is a favorite of locals, and especially of local chefs. As hard as it is to believe, you can get one of Chicago’s best hamburgers at a joint that already does some of the city’s best Chicago-style hot dogs, and it’s about as cheap as it could possibly be. Red Hot Ranch is a typical hot dog joint but whose food stands out above the rest. The hot dogs and Polish sausages are as close to perfection as you’ll find, the thin griddled burgers are incredible, the hand-cut fries are excellent, and it’s open late, which is when this food is at its best. Pro tip: Add a pound or a half pound of the French-fried shrimp to your late-night order. You may regret it, but your taste buds definitely won’t. To some, this glorious all-you-can-eat buffet is known as the Red Apple Buffet. To others, particularly in the immediate neighborhood, it’s Czerwone Jabluszko. And to its most dedicated following, it’s simply Polish Buffet, and it’s fantastic. 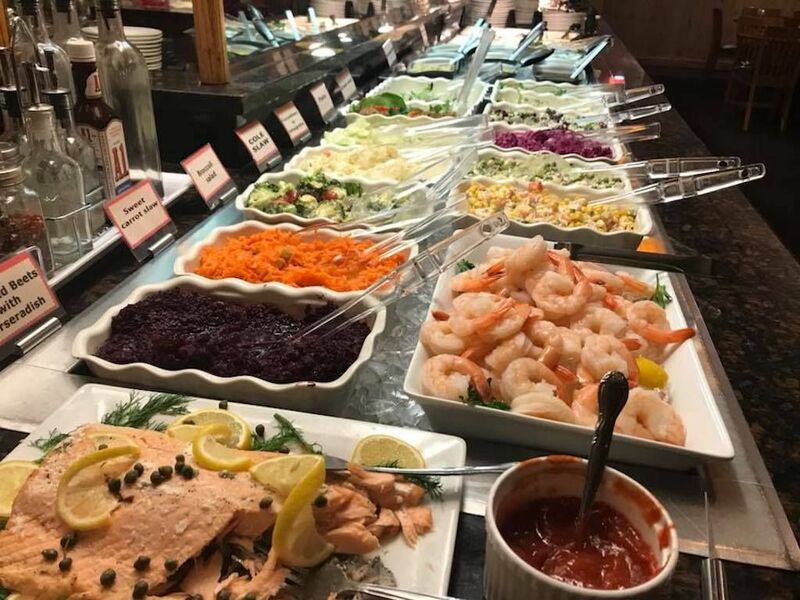 There’s more food here than you could ever know what to do with, including house-made pierogi, stuffed cabbage, kielbasa sausage, blintzes, potato pancakes, roast meats, plus a great salad bar full of veggies, fruits, and desserts. Unlike most all-you-can-eat buffets, Red Apple serves high-quality food made fresh daily. The prices are as good as the food, meaning you can wash it all down with a cold Polish beer and still waddle out for under $30. Prices and selection increase a bit on weekends. There’s something about a Vietnamese banh mi that just always hits the spot, and the best spot for these amazing sandwiches in Chicago is at Nhu Lan Bakery on Lawrence. The real secret here is that it’s a bakery, so the baguettes are baked fresh daily. Fresh vegetable condiments and garnishes, and perfectly seasoned meat and tofu toppings take it to the next level. Grab a Vietnamese iced coffee or a fresh fruit smoothie to go with your sandwich and you’ve got a perfect lunch, for an unbeatable price. Nhu Lan is a true local’s favorite in Chicago.